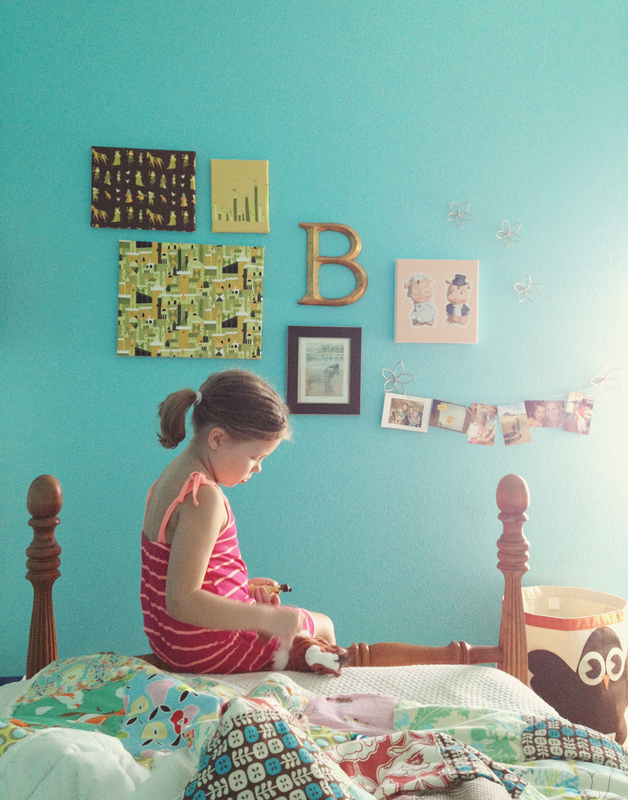 When we designed B’s room a few years ago, we hoped it would be a style that would grow with her. 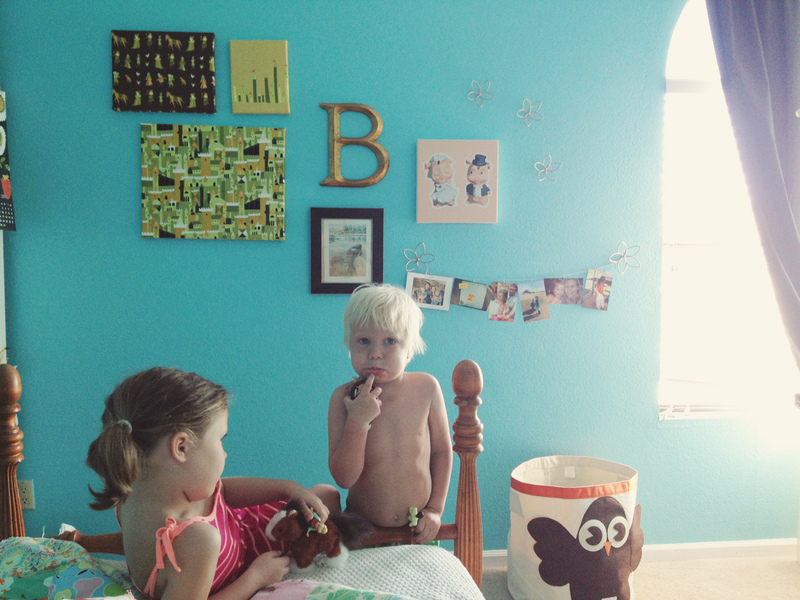 So far, that’s been the case, as she went from a toddler bed to a twin….and now as we are upgrading her gallery wall to better reflect her evolving taste. B had been sticking photos and pictures to the wall with Scotch tape: sea animal drawings, favorite toys, and photos of loved ones. So, I decided to give her more of what she enjoys (without all the sticky tape mess). We kept the fairy tale canvases that I created for her (using Lizzy House “Castle Peeps” fabric) and added a photo wire with clips where she could hang her own art and photos. 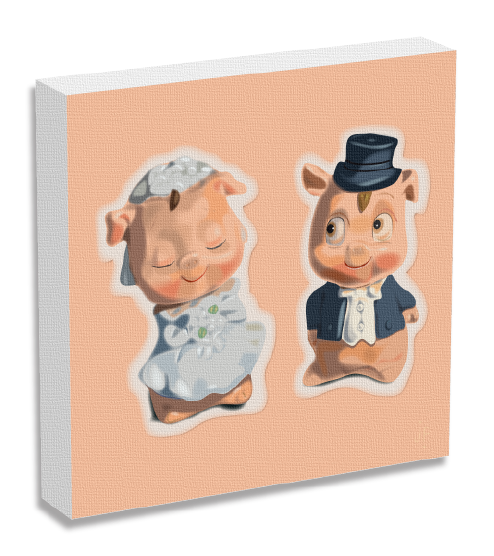 New Art includes the adorable “Marry Me Pig” canvas, given to us by our dear friend, artist and children’s book author Jonathan Fenske. Jonathan’s work speaks to my love of vintage illustrations and nostalgic toys. We have a custom painting of his that I’ve always cherished, but this is the first time he’s offering reproductions of his most famous illustrations on stretched canvases. It’s a great way to add to your family’s art collection without breaking the bank. I also discovered vintage sea life prints from old textbooks and encyclopedias. I’m not really into beach themes, but the natural history of sea life fascinates me almost as much as it does B. And the old scientific illustrations are truly amazing. 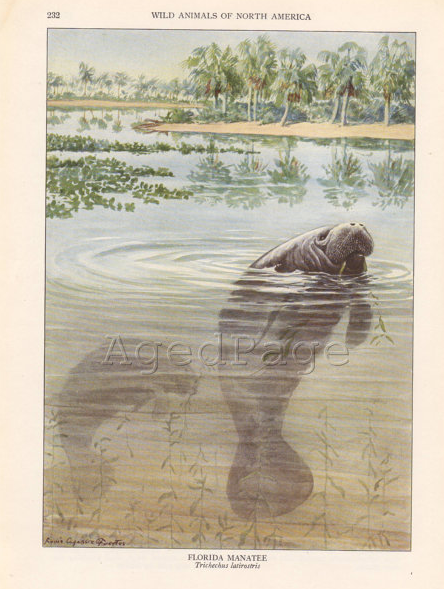 I found this 1930s manatee at Aged Page on Etsy for $10 and framed it myself. I intentionally left some blank space on the wall. Over time, we’ll add to the collage with more sea life prints or other art that interests B. We’ll probably frame some of her own drawings and photography too. I’m also thinking of getting a shadow box and filling it with the sand and sea shells that B has collected from Florida, California and Mexico. Best part: When B opens her eyes in the morning, the first thing she sees is images and people she loves. Gina, thank you so much for including Marry Me Pig from Fat and Appy. Your wall looks lovely. That manatee is so cool. And aqua happens to be my favorite color, so I went bananas for the wall color. 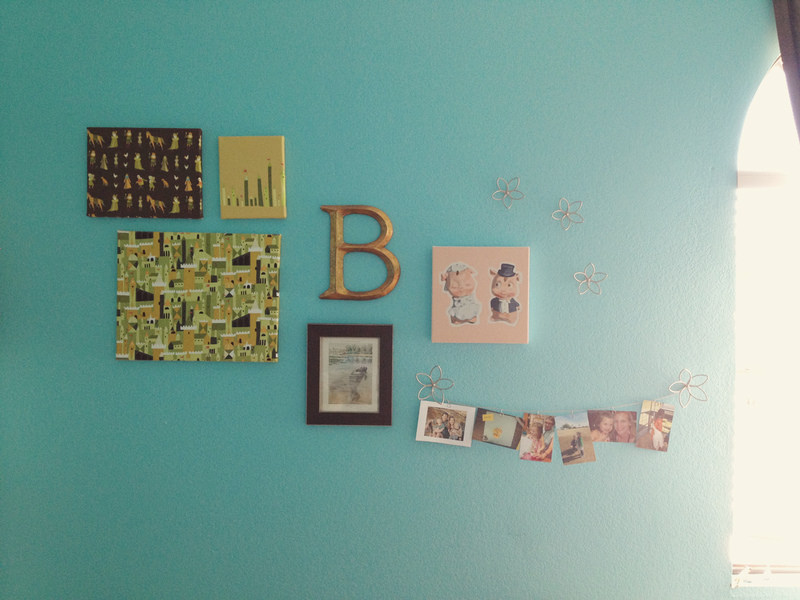 I also like your idea of saving space on the wall for B as she grows and her tastes change. Beautiful, friend! We love it! Thank you! !